 The preparation of teachers at both the undergraduate and graduate levels continues as one of the major responsibilities at Buffalo State. The quality and diversity of the professional education programs have earned the college an excellent reputation for teacher preparation within New York State and across the nation. The School of Education is home to 5 academic departments offering 7 undergraduate programs, 17 graduate programs, and over 70 fully-engaged faculty and staff. Buffalo State also provides opportunities for secondary teacher certification, provided through the respective program departments. View a full list of programs. Undergraduate research is a cornerstone of academic life at Buffalo State. As an institution, the university backs its commitment by putting substantial financial resources behind faculty-mentored undergraduate research. The Undergraduate Research Office promotes, supports, and funds undergraduate research in all academic areas—from the sciences to the arts—and for all committed students. More than 400 students present their research through posters and performances each year at the Student Research and Creativity Celebration. They also compete for Undergraduate Summer Research Fellowships, which support eight weeks of paid research activity. There are usually three graduate assistantship positions available within the School of Education each academic year. Each position requires 20 hours/week. Overall duties may include: conduct academic research; complete written reports; assist with orientation, advisement, information sessions, and events; develop and maintain databases and related reports regarding student applications, admissions, retention, and graduation; develop and facilitate seminars and presentations; maintain websites using template system; communicate and gather information from alumni. As they become available, open positions are posted to the Human Resources website.